Happy Veterans’ Day from the Tombow blog. This week, we are sharing fall inspired projects and I thought with it being Veterans’ Day, that small, token candy gifts to pass out and take to Vets in the hospital would be nice to make. But first, have you heard the big news about a new place you can find Tombow Adhesives? We have put together some great projects this week with craft supplies and Tombow Adhesives purchased at Wal-Mart! 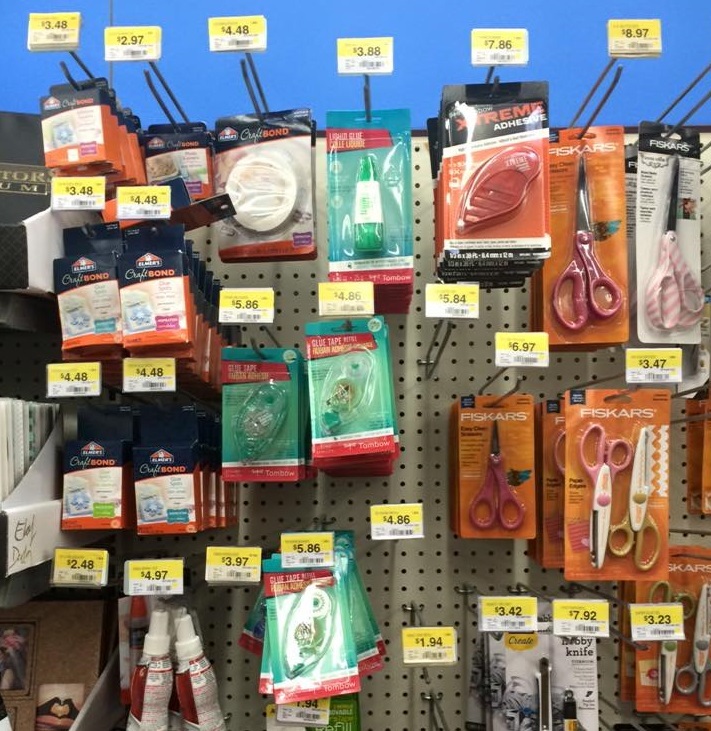 You can now get Tombow Mono Permanent Adhesive, Tombow Mono Removable Adhesive, Tombow Mono Multi Liquid Glue, and Tombow Xtreme Adhesive at your local Wal-Mart in the craft supplies section of the store and online at Wal-Mart.com. I actually got all of the supplies to make these two fun crafts at, you guessed it, Wal-Mart! Today I am sharing how to make turkey kisses and candy cane reindeer. These are crafts I made as a kid and I’ll be making them soon with my kids now that we’re into the holiday season. Pass these easy-to-make candy gifts out at the VA Hospital, in waiting rooms, and to friends and family as a fun way to spread the cheer during the season. You can use the turkey kisses as place cards for Thanksgiving dinner. The candy cane reindeer look super cute as tree decorations too. I hope you were inspired to try these fun, kinda of silly, cheerful crafts for the holiday season. Don’t forget to stop by your local Wal-Mart to pick up all the supplies, including Tombow MONO Multi Liquid Glue and other Tombow Adhesives. Get inspired and see what you can create. See more projects like this on my blog at Just JP. I” new to this site. How do I get the instructions for my granddaughters to put these together? I want to make some of these but wondering what size the two circles are. I would really appreciate it. Thanks.